Find all of the new listings Alpharetta right here. 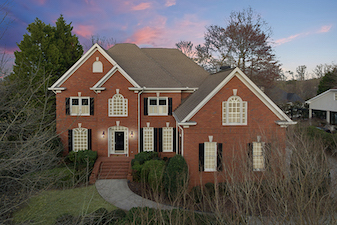 Updated daily, you can find the newest listings available listed for sale in Alpharetta. If you have seen everything on the market and still have been unable to find the right home, bookmark this page and come back daily. We update the new listings frequently and won't show you homes that have expired or have been withdrawn for some reason like many other websites. If you don't want to come back daily to see the new listings available in Alpharetta, we can set you up a saved search and deliver it to you be email. Contact us and we will take care of it for you. You can also view all Alpharetta homes for sale here. Why Only the Newest Listings? Many people have already seen all of the homes for sale that have been on the market and don't want to receive new listings in Alpharetta by email update. There are a lot of people who just like to search for homes on their own, This is a page on our site that is updated every day with only the listings in Alpharetta that have come on the market since about midnight. This way, you can be sure you are only looking at the newest listings. Tip - Check Here Frequently! You may or may not know that regardless of whether we are in a buyer or seller market, the very best homes will usually sell in a very short time. Typically, the best homes sell in a matter of days to only a couple of weeks. Therefore, if you are really a serious buyer looking for a home in Alpharetta, this is a page you should bookmark and return to frequently. During the past year, the best homes have been selling in days! Many in one day and for full price and/or with multiple offers. This page can give you a headstart on many of the other buyers so you will have a better chance of finding your next home. For more information about Alpharetta or just listing homes, please fill out the form below!